As expected, a large percentage of the group raised their hands. It felt good that people are increasingly becoming aware about importance of analytics. Surprisingly and sadly – no informed answer again. There were expectations – but little research. Even more surprisingly, this was not a one off occurrence – this happens with most of the people I have been interacting in past few years. It was scenarios like these, which made us think what is the best best way to bring knowledge about Indian Analytics Industry to everyone. 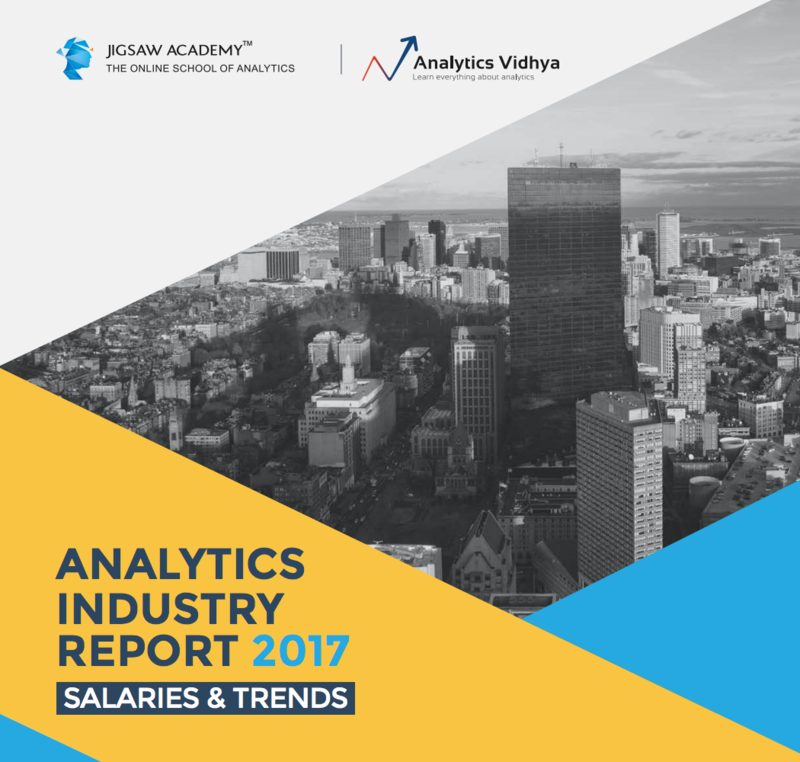 I am excited to announce launch of Analytics Industry Report 2017 – Trends and Salaries in India . I am pleased to announce the industry report 2017 for our followers and analytics industry in India. This is the most extensive effort I know of in Indian analytics industry. We, along with Jigsaw Academy have used all our experience / intelligence and perspective to come up with this report. The aim is to provide the ground realities to people about what is happening in industry. What salary should I expect, given my skillset? What are the skills I should learn to have the highest impact on my career? Which location has the most number of opportunities? This Industry report should help you answer these questions. We had launched a Analytics and Big Data Salary Report 2016 last year. This year, we decided that we will provide the best of insights and trends to make this a complete industry report. Hope you enjoy it. Machine learning is the best paying skill beating Big Data to the top spot. However, a combination of Big Data and Machine Learning skills, ensures being recruited with a sizeable pay package. 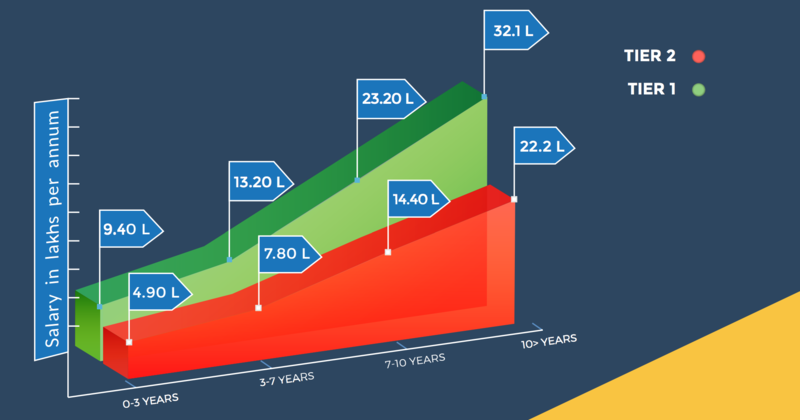 We expect this trend to strengthen further in the coming years. So, you should start investing time and resources in upskilling yourself in machine learning. Check out our learning path and hackathons to test and learn machine learning. Open source tools dominate the analytics landscape, with Python and R commanding more pay than SAS now. 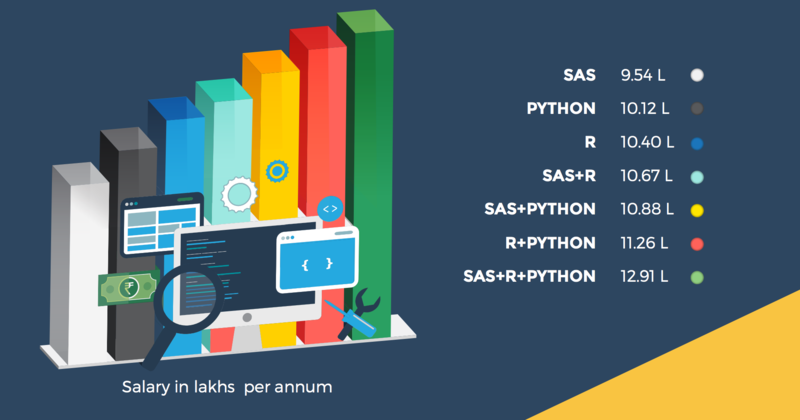 The combination of Python+R pays higher than the combination of SAS+R and SAS+Python. Again, this trend is going to further strengthen in future. Companies like Google are open sourcing tools like TensorFlow and they will go on to define the new landscape. Check out our learning paths on R and Python here. The increase in your salary depends on your current experience, education background and the location of the job. IT professionals can increase their salaries by upto a third through analytics upskilling. 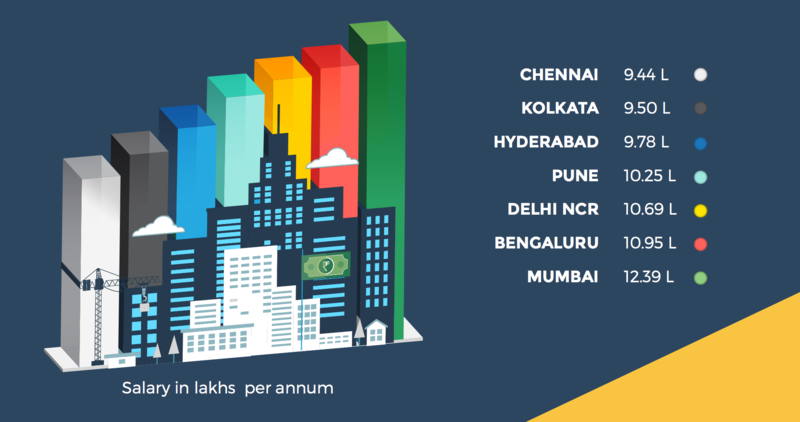 Mumbai continues to be the paymaster followed by Bengaluru and Delhi NCR respectively. * By filling this form you agree to receive jobs alerts and industry newsletter from Analytics Vidhya. Furthermore your account with Analytics Vidhya will also be created, the details of which shall be mailed to you. Dont worry we will not spam you.